While the typical age gap between married couples is slightly less than four years, couples with age difference of 10 years or more have a few planning opportunities particular to their situation that they need to understand and manage. Saving for retirement through a qualified retirement plan such as a 401(k) or an IRA means that at age 70 1/2 the IRS requires retirees to begin taking minimum distribution (RMDs) from these accounts based on their projected life expectancy. Each year the IRS publishes a series of tables used to determine how much must be taken in the form of a distribution, inevitably causing retirees to withdraw more as they get older. The good news for May-December couples is that if your spouse is at least 10 years younger than you, there is a separate table that provides a smaller distribution requirement and thus reduces the recipient’s annual taxable income (restrictions apply; for example, your spouse must be the primary beneficiary, etc.). While a 10 year difference in age creates only nominal savings, a 15 or 20 year gap might create significant savings. Therefore, couples with a major gap in their ages should consider contributing as much as possible to the older spouse’s qualified plan particularly if they plan to retire at the same time. This will provide access to these funds when the older spouse turns 59 1/2 instead of being forced to wait until the younger spouse reaches that magical age while simultaneously creating a smaller RMD tax bill. Not only is the IRS sensitive to age gaps, our friends over at the Social Security Administration (SSA) also have policies and programs that with some planning can benefit couples with a significant difference in their ages, particularly younger spouses. Social Security decisions can be tricky for married couples since each spouse technically qualifies for three different options, including personal, spousal, and survivor benefits… plus they can choose to file early, at full retirement, or defer until age 70 and receive a nice increase to their benefits. Significant age gaps and general life expectancy between spouse’s can mean that there may be many more years for the younger spouse to collect spousal or survivor benefits than the elder spouse will get from their own personal benefits. It’s important to consider that women tend to live longer than men and are more likely to have earned lower personal benefits. Therefore, it may make sense for a couple with a large age gap, particularly a younger wife, to plan for the older spouse to defer benefits as long as possible – even to age 70 if it’s reasonable. The other true benefit to delaying Social Security payments is that dying early usually doesn’t jeopardize the financial aspects of your retirement plan. It’s living too long that concerns many couples. Therefore, by deferring Social Security benefits for as long as possible, couples can reduce the stress and anxiety of outliving their money since they’ll receive higher payments. Pension maximization is another strategy that can work well for couples with a large age gap. The basics of this strategy involve the older spouse opting for the single life pension option. A single life pension option provides higher annual payments but is only paid for as long as the pensioner is alive. On the other hand, a joint survivor option is paid as long as the pensioner or their beneficiary is alive. However, the additional spouse benefit comes at a cost. Typically, annual payments are dramatically less, which can negatively affect your desired lifestyle. The pension maximization strategy suggests that the couple take the extra income from the single life option and use it to fund a life insurance policy on the older spouse. 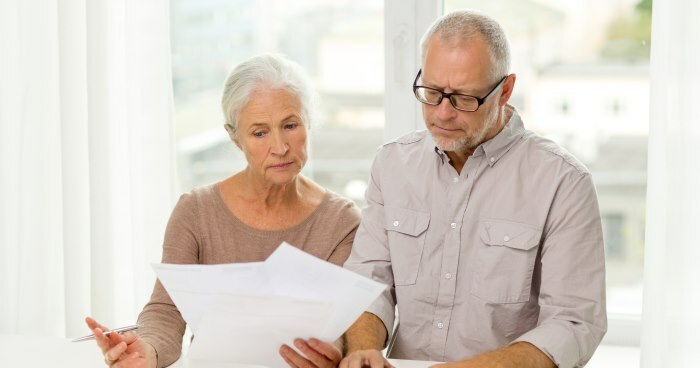 Then, assuming the older spouse dies first, the surviving spouse will receive the proceeds from the policy to fund subsequent retirement needs. Essentially, by using the single life option, the couple will receive a higher annual benefit to help maintain their lifestyle while also funding a life insurance policy. The proceeds of which should exceed the benefit the younger spouse would have received under the joint survivor option and thus create a better lifestyle. Is there a significant age gap between you and your spouse? Contact us today and put our knowledge and experience to work for you. There is no cost for an initial meeting where we can get to know more about your situation and help you develop strategies to meet both of your retirement needs.